In October 2011 I was invited to stay at the artist in residence of the Vincent van GoghHouse, in the Van Gogh-era sexton’s house in Zundert, the Netherlands. I concluded my artist in residency with the showing of my video about the contemporary ‘new potato eaters’. I filmed Eastern European guest workers for a month. I chose this subject from the idea: Who would Van Gogh choose nowadays as a model for his potato eaters? 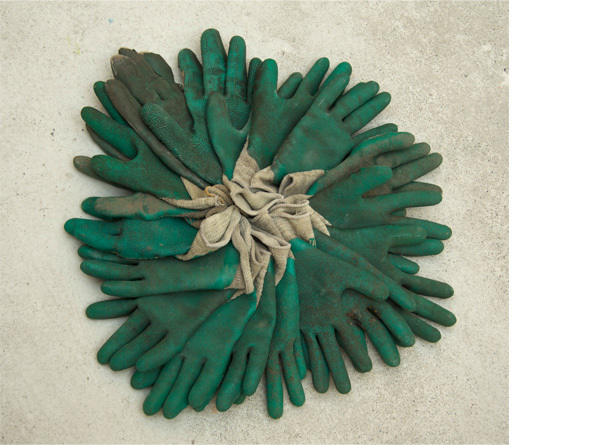 My study of the workers working in the nurseries and staying on campsites also led the photoworks: ‘strange hands’ and ‘the new potato eaters’ .